A well designed residential landscape can not only create beautiful vistas from within the house and comfortable rooms for outdoor living, but can also significantly increase the real estate value of a home and neighborhood. But wait there’s more! Did you know that carefully placed plants can also significantly reduce your homes heating and cooling energy needs? Provide food for your family and friends? However, not all landscapes are created equal; in fact many landscapes are far from green. There is proven data that (many) residential landscapes account for 30-70% of a households’ water consumption. The amount of fertilizers, pesticides, and herbicides used by homeowners is a booming business, but potentially pose a health threat to pets and children who use the landscapes. Increasingly many of these chemicals are getting washed into our creeks, streams, rivers, lakes, and oceans by irrigation and stormwater runoff, negatively impacting the local flora and fauna. And strangely enough, many landscapes don’t take advantage or manage rain runoff, and can actually contribute to stormwater runoff problems including pollution, erosion and flooding. Did you know that the amount of lawn and yard trimmings that end up in local municipal waste streams can cost the city (and the taxpayer) millions of dollars? But landscapes can be green, creating healthy spaces for enjoyment and respite, possibly providing food and habitat for birds, butterflies and bees, moderating your home and neighborhood climate, and overall providing a suite of ecosystem services. So how do you make the right choices, and what should you know? ASLA has many resources on residential design, from tips on hiring a landscape architect and designer, to a variety of sustainability resources. 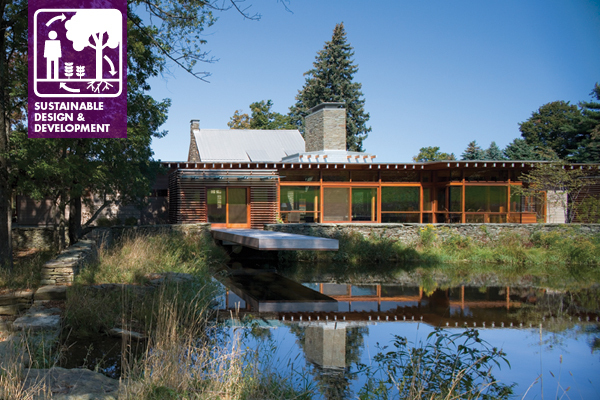 You can start your search at ASLA Home and Garden Tips from Landscape Architects and find additional guidance and resources at Residential Landscape Architecture PPN and Sustainable Sites Initiative. This put up actually made my day. You cann’t believe simply how much time I had spent for this info! Thanks!